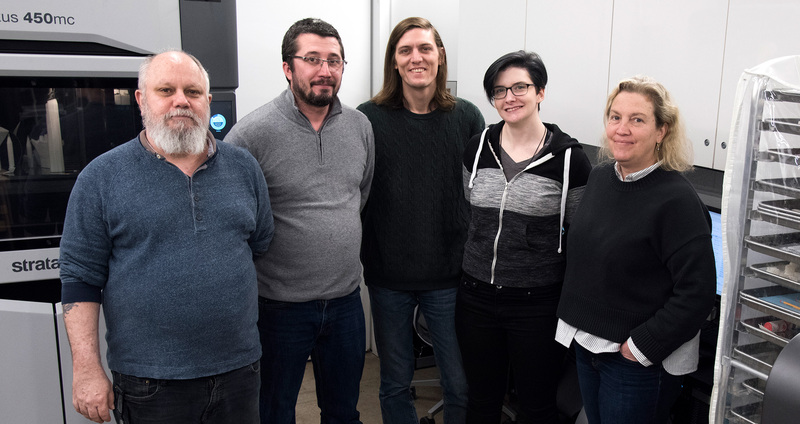 The LaGuardia Studio team: Taylor Absher, Andrew Buckland, Taylor Shields, Dhemerae Ford, and Shelly Smith. Designating oneself as an organ donor is a familiar concept, but few people who do so consider the prospect of donating their face to someone in need of a transplant. Donation of internal organs can be obscured. This isn’t the case with the donation of a face. It’s also not as familiar an option. As a result, there have been few face transplants and a list of people waiting for a donation. Research shows that face transplant recipients do not look like their donors, bringing consolation to families who make this life-bringing decision. But there’s another difficult aspect they must consider: How is their loved one, an altruistic donor, returned to them? Previously, the solution has been the creation of a silicone mask to be fitted on the donor after the operation. These masks were made from a cast of the donor’s face and hand painted; a respectful gesture but one that is limited by its technology. Eduardo D. Rodriguez, MD, DDS, chair of NYU Langone Health’s Hansjӧrg Wyss Department of Plastic Surgery and director of its Face Transplant Program, who has performed the most extensive face transplant to-date, wondered if there wasn’t something more that could be done for donors. In pursuit of this goal, he approached the 3D scanning and printing specialists at NYU’s LaGuardia Studio with the challenge to create something better. The first full-face transplant took place in 2010. The 24-hour procedure involved a team of 30 doctors led by Dr. Joan Pere Barret at the Vall d’Hebron hospital in Barcelona, Spain. The procedure entailed lifting the “entire face, including jaw, nose, cheekbones, muscles, teeth, and eyelids” from the deceased donor, then transplanting it onto a recipient who had suffered an accident five years earlier.1 It was an advancement that surpassed previous reattachment surgeries, the first of which occurred in India in 1994 when a team led by microsurgeon Abraham Thomas reattached the face of a young girl injured in a farming accident. Subsequent “self-donor” and partial face transplants were conducted in Australia, France, and China. The groundbreaking full donor-recipient transplant that Dr. Barret and her team performed in 2010 was followed by a similar procedures at the Henri-Mondor hospital in Créteil, France, and then again in 2011, in a surgery led by Dr. Bohdan Pomahač at Brigham and Women’s Hospital in Boston. The first face transplant performed in New York took place at NYU Langone Health in 2015 by Dr. Rodriguez. Dr. Rodriguez and his team successfully transplanted the face of a donor onto Patrick Hardison, a volunteer firefighter whose face had been badly burned while serving in the line of duty, including the entire scalp, eyelids and blinking mechanisms, and ears.2 The donor was David P. Rodebaugh, a 26-year-old artist and BMX bicycling enthusiast. Rodebaugh tragically sustained a terminal head injury.3 He had denoted himself as an organ donor, but that self-designation does not automatically include the face. Rodebaugh’s parents were contacted by LiveOnNY, the organ recovery organization that oversees transplants in New York, to specifically request consent for donation of the face. LiveOnNY and Dr. Rodriguez carefully and compassionately explained the uncommon transplant to Rodebaugh’s family, who ultimately agreed that their son would have wanted to help the firefighter. For Rodebaugh’s family, the question then was: What happens to their son? How is such a visible donation handled during the funeral? At the time, the answer was a detailed silicone mask made from a cast of Rodebaugh’s face. Dr. Rodriguez was determined that something better could be provided to donors and their loved ones in the future. “The silicone masks we use today are archaic, and we think these new incredibly lifelike masks could potentially bring about more donors, enabling us to more quickly care for a greater number of face transplant patients,” said Dr. Rodriguez. Dr. Eduardo Rodriguez, after performing a face transplant in 2015, wondered if there wasn’t more that could be done for the donors. Photo courtesy NYU Langone Health. Dr. Rodriguez approached the LaGuardia Studio (LGS) team — including Shelly J. Smith, Assistant Director, and her colleagues Andrew Buckland, Taylor Absher, Dhemerae Ford, and Taylor Shields, as well as David Ackerman, NYU IT Research Technology Associate Vice President — about the prospect of using 3D scanning and printing technology to create a more realistic, detailed mask for donors. He explained the face transplant process to the LGS staff, which was already experienced with the scanning of the human face, and outlined what would be required of them. They analyzed the challenge and decided on the scanners, methodology, printers, and materials that would be used, establishing a detailed plan. Once a potential donor who matched the criteria required for the procedure was identified, the team would travel to the hospital to perform scans of the donor’s face using an Artec Spider handheld 3D scanner. Concurrently, high-resolution photographs would be taken to later assist with texture and color. The team would then return to the LaGuardia Studio to compile and refine the scans, use the photos to verify the appearance of the skin, and computationally overlay a texture map onto the geometry of a donor’s face to complete the 3D model. The actual print would be created on a Stratasys J750 using Vero Family Materials. Over the summer, Dr. Rodriguez brought his new patient waiting for a face transplant and their family to the LaGuardia Studio to meet the staff and learn about the process of scanning and printing a mask for the donor. For Dr. Rodriguez, it was important that these processes be communicated on a human level; that people meet people, rather than being presented a list of functions. A face transplant is difficult for the recipient, who must have their own face removed, the donated face transplanted, and undergo extensive rehabilitation following the transplant. Taking the recipient to the LaGuardia Studio, enabling them to see the equipment, to hear how it all works, and even to sit for a 3D scanning session, transforms technical work into human interaction, and helps make the recipient more comfortable with the transplant procedure as a whole. Though, ultimately, what is created at the LaGuardia Studio is for the donor and the donor’s family. In October of 2017, the LGS team engaged in a real-life rehearsal. Afterwards, the LGS team met with Dr. Rodriguez and Leslie Bernstein, Chief Administrator for the Face Transplant Program at NYU Langone Health, to make adjustments that would improve the scanning process, provide more accurate geometry for the mask, and reduce the print time. They determined that, while the Artec Spider yielded highly-detailed results, an overall better scan was created by combining scans from the Spider and a lower-resolution Artec Eva, with the texture map color accuracy referenced from digital photographs. The Stratasys J750 3D printer was used to print the mask. 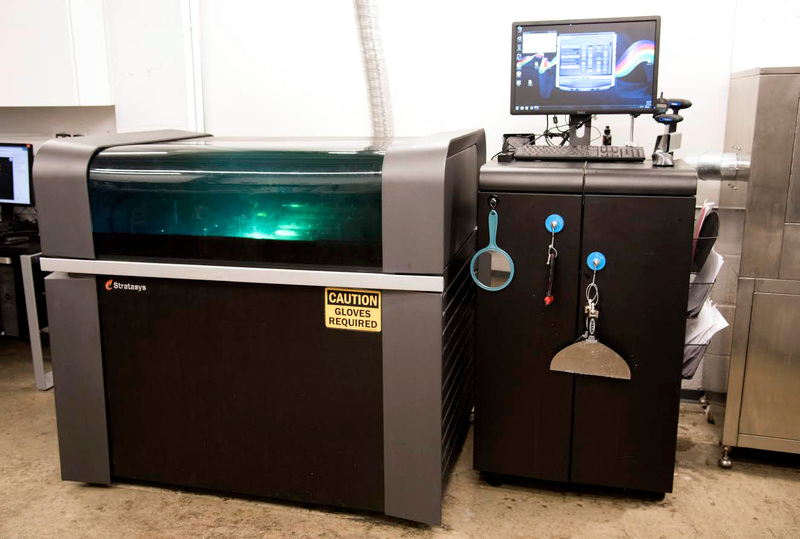 Obtaining a quality 3D scan in a controlled environment set up specifically for scanning is difficult enough, but it’s a challenge the LGS staff is well-equipped to handle. Obtaining a quality scan in a setting like a hospital operating room is even more challenging. There are many people around, as well as medical equipment. The lighting is not ideal, and there’s limited control of things like glare and shadows. But this was what the LGS team had been preparing for. It was determined that for the best possible results, they would perform nine passes with the Artec Spider and another nine with the Eva, while also taking reference photos with a digital camera. This entire scanning process takes approximately one hour. The team would then move back to the LaGuardia Studio, where the scans are combined into a final state — a time-consuming, complex task that requires expertise and artistry to analyze each scan and compile them into a single 3D model. It includes, among other things, digitally manipulating the scans to create a more natural facial position. The scans also have to be tailored to match specific measurements, contours, thickness, and cuts defined by Dr. Rodriguez. After the final geometry is created, the photographs are used as a color reference to complete the texture map applied to the 3D model. Once finished — a process that takes some five hours — the model of the mask is verified and ready to be 3D printed. Many potential donor families are still hesitant, and that hesitancy, while obviously understandable, is something Dr. Rodriguez hopes the availability of highly-accurate 3D printed masks can help alleviate. Identifying an ideal match for a face transplant donor is a precise and often arduous task. The search requires a blood, antibody, skin tone, hair color, and facial bone structure match – an exacting process that limits the potential number of viable donors. 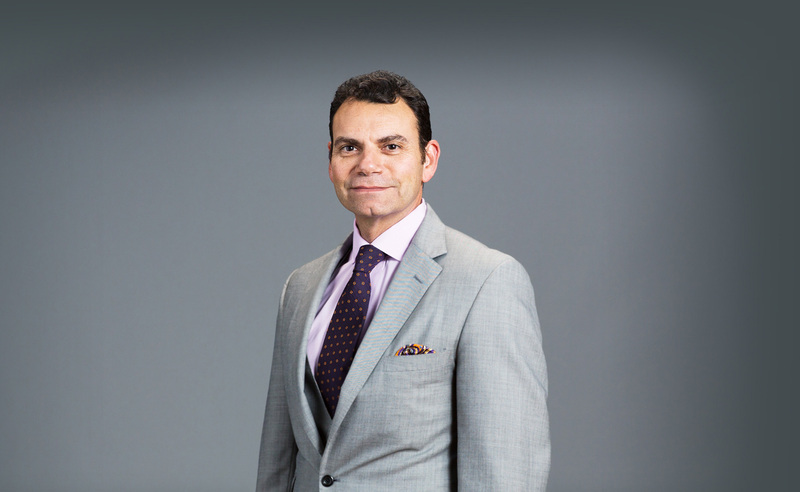 “It is important to ensure we are meeting the needs of these families; to make their decisions easier while at the same time creating the best opportunity for our face transplant patients who are waiting to find their perfect match,” continued Dr. Rodriguez. For Shelly J. Smith, Andrew Buckland, and Taylor Shields, as well David Ackerman and all the staff at the LaGuardia Studio, the experience was unique among the work they’ve done at the LaGuardia Studio and became something personally, and emotionally, impactful. It stands as a unique example of how technology can transcend far beyond its component parts. Associated Press. “World’s first full face transplant patient appears before cameras.” The Guardian. July 26, 2010. Accessed February 07, 2018. NYU Langone Health. “Surgeons at NYU Langone Medical Center Perform the Most Extensive Face Transplant to Date & First in New York State.” NYU Langone Health website. November 16, 2015. Accessed February 07, 2018. Fishman, Steve. “Biography of a Face.” NY Mag. November 15, 2015. Accessed February 07, 2018. Newman, Andy and Santora, Marc. “For the Living, a Donated Face. For the Dead, a Lifelike Replacement.” The New York Times. January 5, 2018. Accessed February 07, 2018.